I started diving at the age of 24 and quickly realised my hobby could also be a career for me, and 2 years after starting to dive I began the process of becoming a diving instructor to work in a friends dive store in Manchester. Very early on in my diving career I was interested in the more adventurous aspects of underwater exploration and by my late 20’s was regularly exploring un-dived caves and shipwrecks. This in turn lead me to becoming one of the youngest deep wreck and cave diving instructors in the world, and my passion for this avenue of the sport put me in contact with some of the most inspirational instructor trainers I’ve ever me. It really was being in the right place at the right time and I’m eternally grateful to those people that got me started in this wonderful sport that has developed into a full time career. 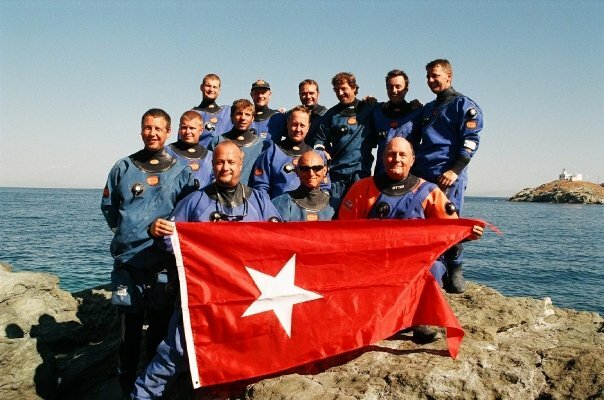 I started a business in 1997 that operated as a training centre specialising in cave diving, deep wreck and rebreather training. 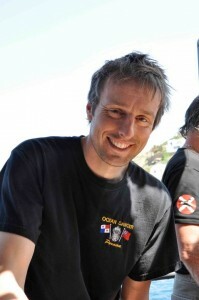 This company was called Deep Blue Diving and from 1997 to 2008 I travelled the world teaching divers how to use specialised equipment and techniques to advance their own personal ambitions. 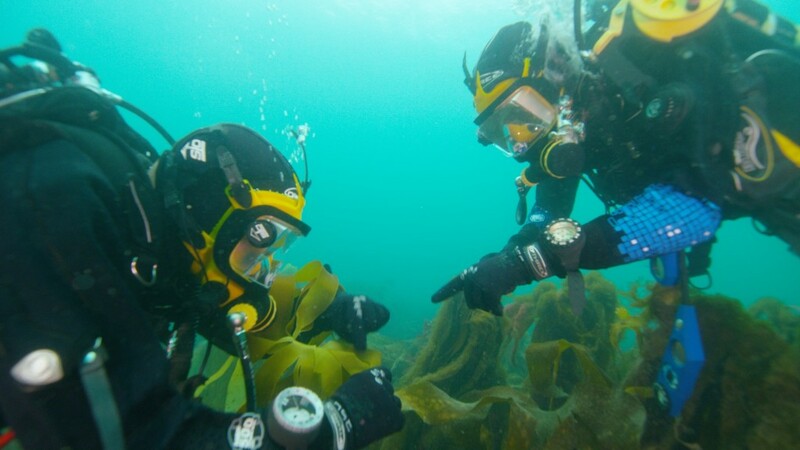 I also taught quite a few underwater camera operators and TV presenters to use closed circuit rebreathers and mixed gas diving along the way as well. In 1999 I bought my first boat, a 24m long live-aboard vessel called Loyal Watcher. With this boat I travelled to some of the best diving destinations in Europe and had the great fortune to explore un-dived shipwrecks including the rescue ship to Titanic (RMS Carpathia) which lay in 160m of water and also the sister ship to the Titanic (HMHS Britannic) that lies in 120m of water, 2 of the most memorable deep wreck explorations I’ve been involved with. I suppose that an expedition on Loyal Watcher in 2003 to support a TV documentary about Britannic was what really got me thinking about the world of underwater film. National Geographic had charted my boat to support their filming but their underwater camera operator wasn’t experienced or qualified to dive down to the wreck, so my friends and I fulfilled that role for them whilst onboard the Loyal Watcher. 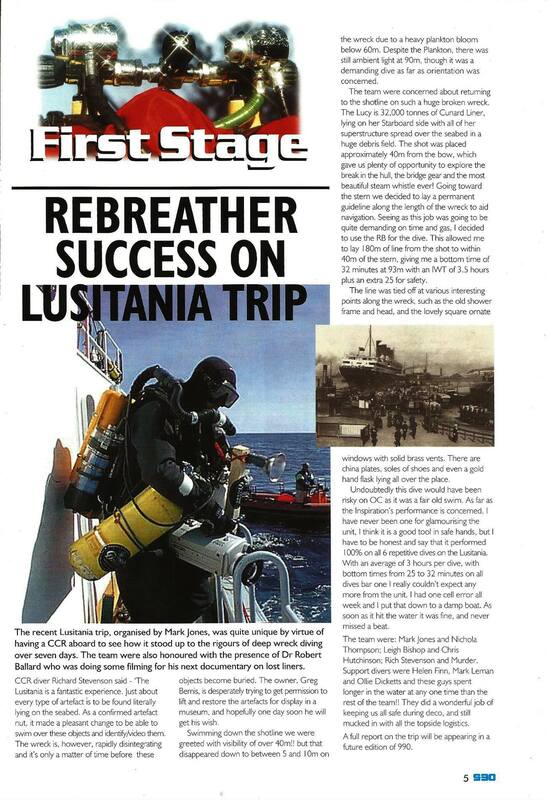 This particular expedition was instrumental in finding the reason for the ship sinking so quickly and I was personally tasked with filming deep inside the boiler rooms at 112m depth to document what I’d found on previous dives, I was hooked! But I knew nothing about cameras so thus started the process of learning and experimenting with underwater filming which saw me using early tape based cameras like the Sony VX2000, Canon MV1 and then the revolutionary Sony Z1. Digital cameras were just starting to become a reality but in those days everything was tape based in primitive and often basic underwater housings that rarely stayed dry for long! Boats soon became a dominating force in my life, perhaps too much and I lost focus on being a diver so in 2007 I decided to sell the dive centre and boats and reduce the amount of training I was doing in order to develop a career in underwater filming and media support. 2009 saw me close the doors of Deep Blue Diving which eventually led to my new company called Waterproof Media being borne with the sole purpose of providing support to the media and film industry. As I started my diving career as an Instructor I’ve had to develop the ability to be self-sufficient and at the same time focus on the divers under my instruction. This develops a type of empathy that translates to cast and crew alike when working under the water and definitely helps to keep the diving operations safe, slick and efficient. These last 5-6 years have been without doubt the most enjoyable of my entire diving career that now spans 21 years. 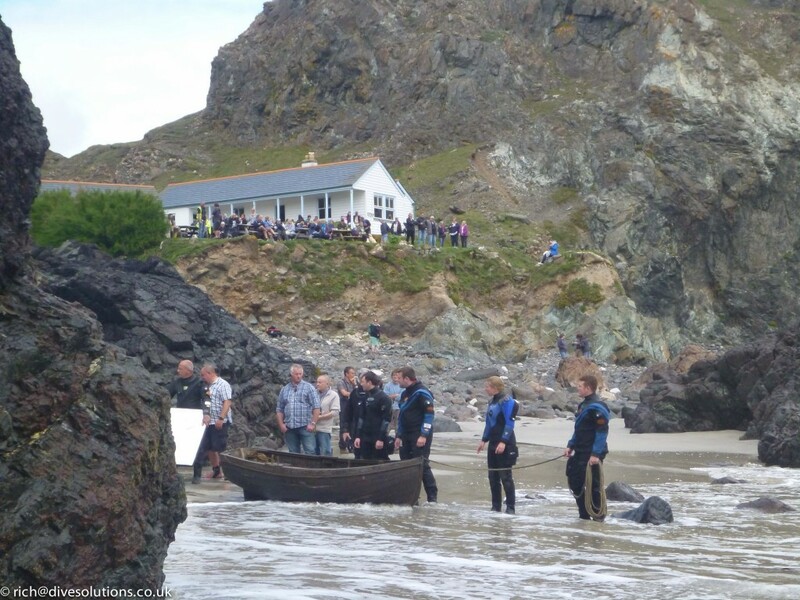 I’ve worked on some challenging and rewarding productions and pride myself on being able to fit into a variety of roles from camera operator to marine co-ordinator, and even dive supervising and boat handling. Just being on or under the water puts a smile on my face and I’m sure those of you that have worked with me will agree it’s rare to see me not smiling when at work. I have also taught myself basic video editing techniques to help me understand the post-production process and ultimately make me a better camera operator as well. I still own a boat (Ocean Venture) that I use for film support and to pursue my own projects as diving is still a hobby even though it’s my career. 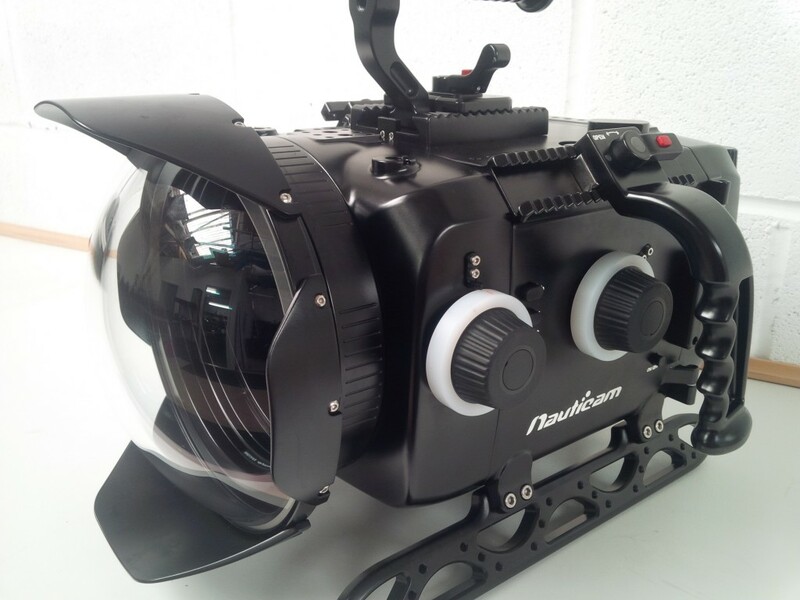 I have also been investing in my own selection of underwater cameras and housings that has helped operating them become second nature to me. I do believe that being a competent and experienced diver first and then learning about cameras has definitely been the right approach for my career. 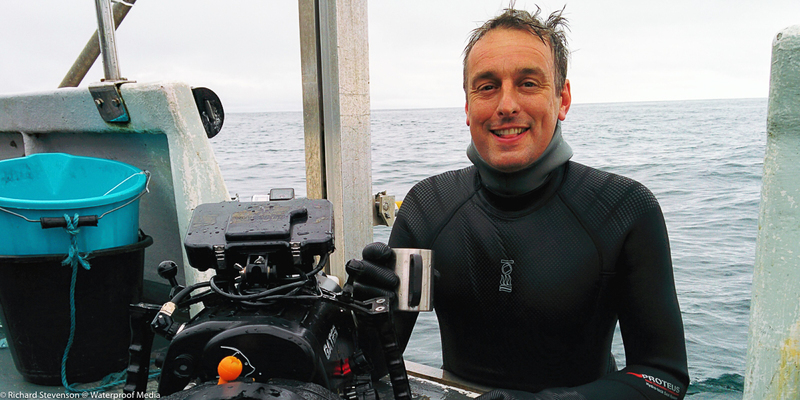 I often get asked to film in challenging and adventurous locations, and I believe that being able to operate professionally and within my own comfort zone allows me to concentrate 100% on the subject matter which can only be an advantage when filming underwater. HSE – Health and Safety Executive – responsible for approved code of practice relating to media diving.